Duke University is among six institutions nationwide chosen to receive the Higher Education Civic Engagement Award by The Washington Center for Internships and Academic Seminars. Duke was recognized for its commitment to global service and community involvement through its DukeEngage program, and will be presented with the award Oct. 3 during The Washington Center’s annual awards luncheon at the National Press Club in Washington, D.C. The other institutions receiving the 2011 Higher Education Civic Engagement Award are Benedict College, Augsburg College, DePaul University, Florida Gulf Coast University and San Francisco State University. Honorees were chosen from among 140 nominees. Each year, DukeEngage places approximately 425 Duke undergraduates in communities around the globe to collaborate on developing solutions to pressing social needs. The program has worked with communities to build stronger school enrichment programs, better health outreach initiatives, more robust community development efforts and innovative engineering solutions in more than 50 nations across six continents. More than 1,400 Duke students have participated since the program began in 2007. 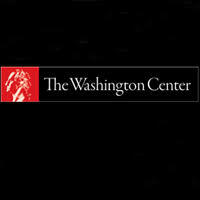 The Washington Center for Internships and Academic Seminars is an independent, nonprofit organization that serves hundreds of colleges and universities in the United States and other countries by providing selected students challenging opportunities to work and learn in Washington, D.C., for academic credit. The Washington Center, established in 1975, has close to 50,000 alumni who have become leaders in numerous professions and nations around the world. This year’s award committee was chaired by Geri Mannion with the Carnegie Corporation’s US Democracy Program and joined by Chris Caruso with GenerationOn, Thomas Ehrlich with the Carnegie Foundation for the Advancement of Teaching, Peter Levine with The Center for Information & Research on Civic Learning Engagement, Heather Smith with Rock the Vote, and Michael Smith with The Case Foundation.